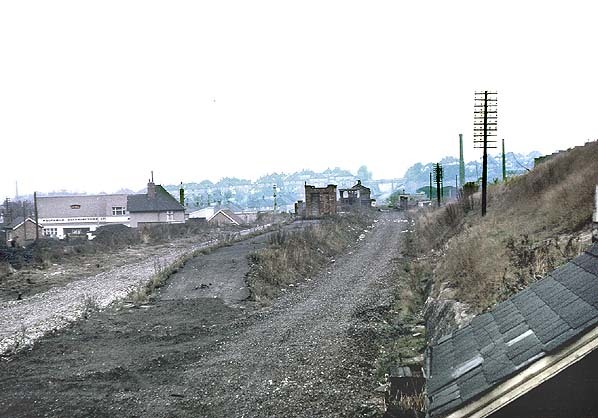 Present state: The station and embankment have been demolished, only the stationmaster's house survives. 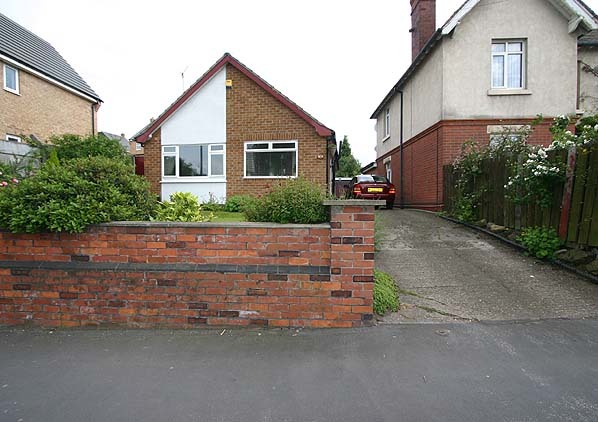 The partially filled north portal of Sherwood Rise Tunnel can still be seen in a small park at the end of Camelot Avenue to the north of the station. Notes: New Basford Station was a typical Great Central intermediate station with an island platform on an embankment accessed from a single entrance below the road bridge from where steps led up to the booking office on the platform. 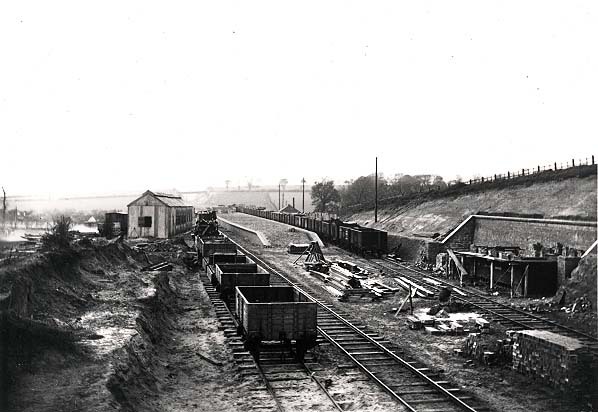 The station had a small goods yard on the down side of the line opposite the station with a large brick goods shed. There were carriage sheds and sidings on the up side of the line to the north of the station. 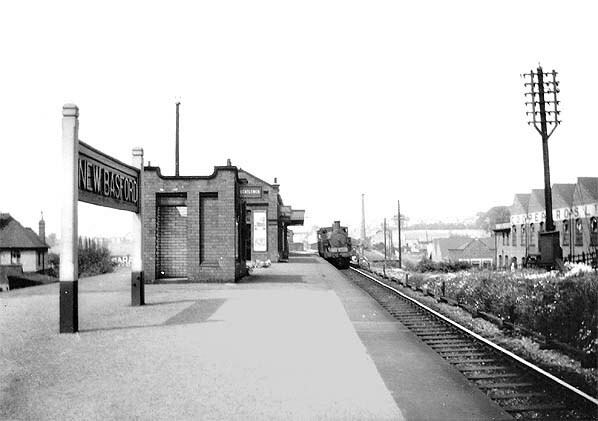 The station survived the initial closure of local stations but only lasted for another year closing on 7th September 1964. 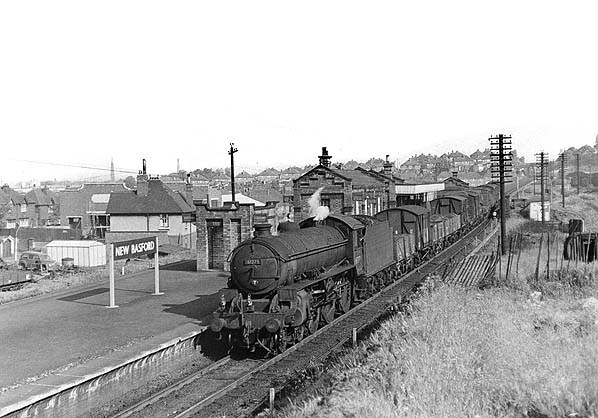 The station remained open for freight traffic until 2nd October 1967. The track through the station was lifted in late 1969. Too see other stations on the Great Central Railway between Sheffield Victoria and Aylesbury click on the station name: Aylesbury, Waddesdon, Quainton Road (1st site), Quainton Road (2nd site)**, Calvert, Finmere, Brackley Central, Helmdon, Culworth, Woodford Halse, Charwelton, Braunston & Willoughby, Rugby Central, Lutterworth, Ashby Magna, Whetstone, Leicester Central, Leicester North***, Belgrave & Birstall, Rothley**, Swithland****, Quorn & Woodhouse**, Loughborough Central**, East Leake, Rushcliffe Halt**, Ruddington, Ruddington Factory Halt, Arkwright Street, Nottingham Victoria, Carrington, Bulwell Common, Bulwell Hall Halt, Hucknall Central, Annesley South Junction Halt, Hollinwell & Annesley, Kirkby Bentinck, Tibshelf Town, Pilsley, Heath, Staveley Central, Renishaw Central, Killamarsh Central, Beighton (1st site), Beighton (2nd site), Woodhouse Junction, Woodhouse*, Darnall*, Sheffield Victoria & Sheffield Bridgehouses. can be seen 'above' the station sign. Looking south at the site of New Basford Station in May 2008. The station was at a higher level on an embankment. The stationmaster's house can be seen to the right.